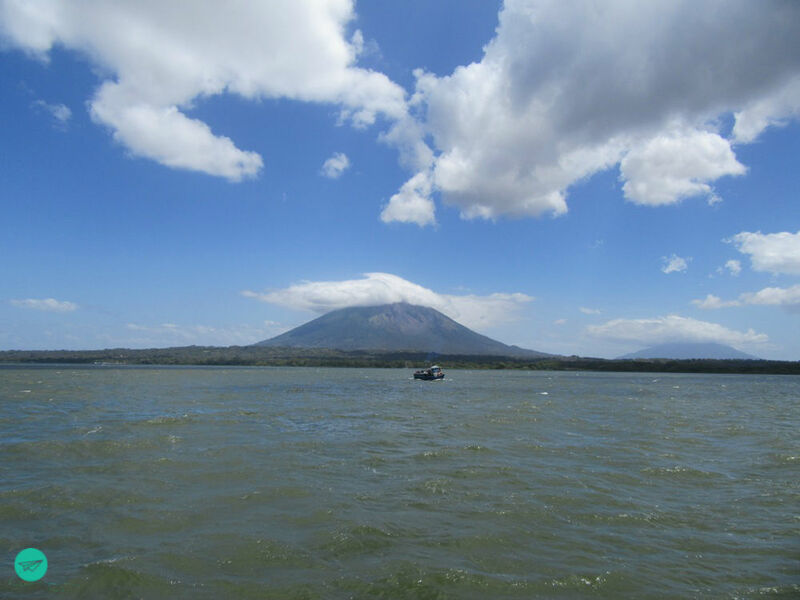 Spending some relaxing days at Laguna de Apoyo, visiting Volcano Masaya and having a boat ride through las Isletas we headed to our next stop: Isla Ometepe! 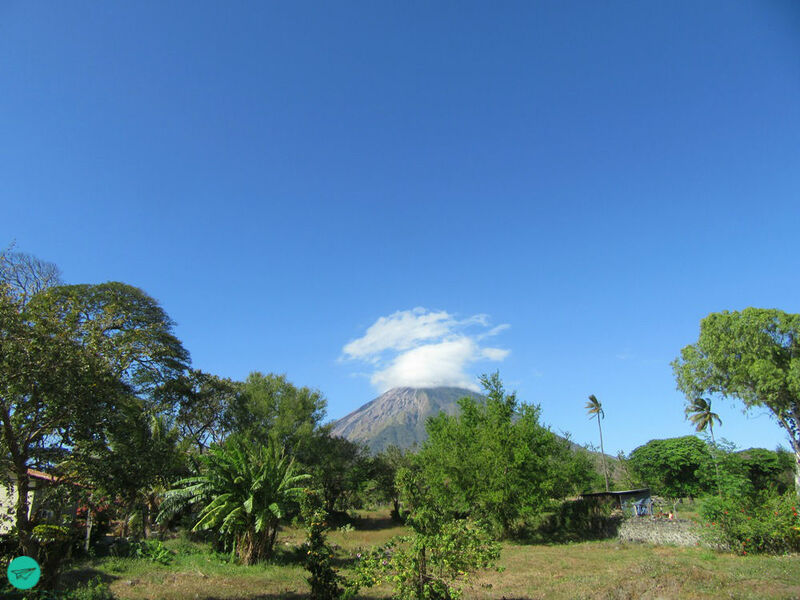 Isla de Ometepe is the world’s biggest volcanic island in a freshwater lake with about 270km². 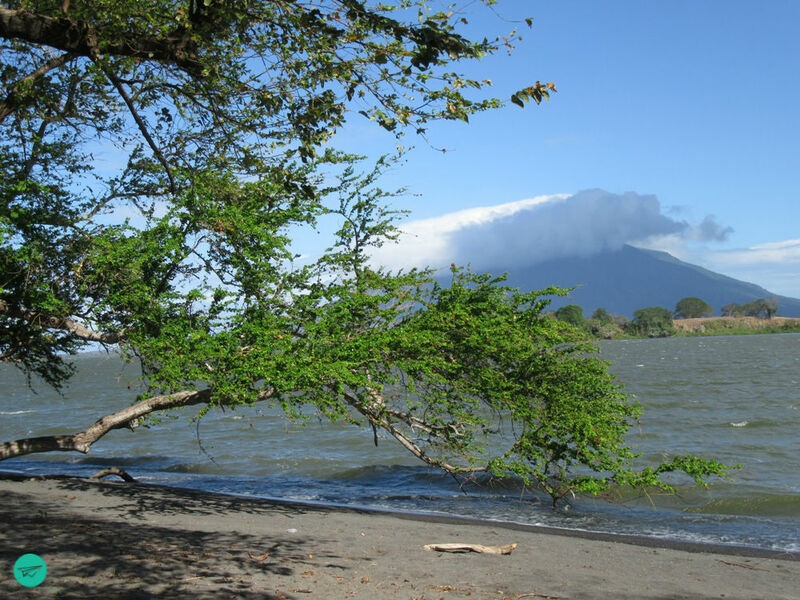 Ometepe is located on the Nicaragua Lake (Lago Cocibolca). 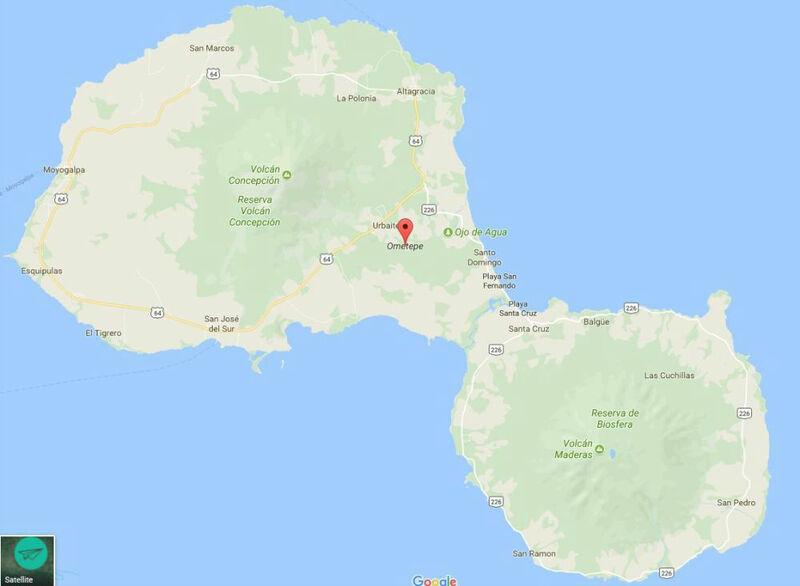 The two volcanoes Concepción and Maderas characterize the island. 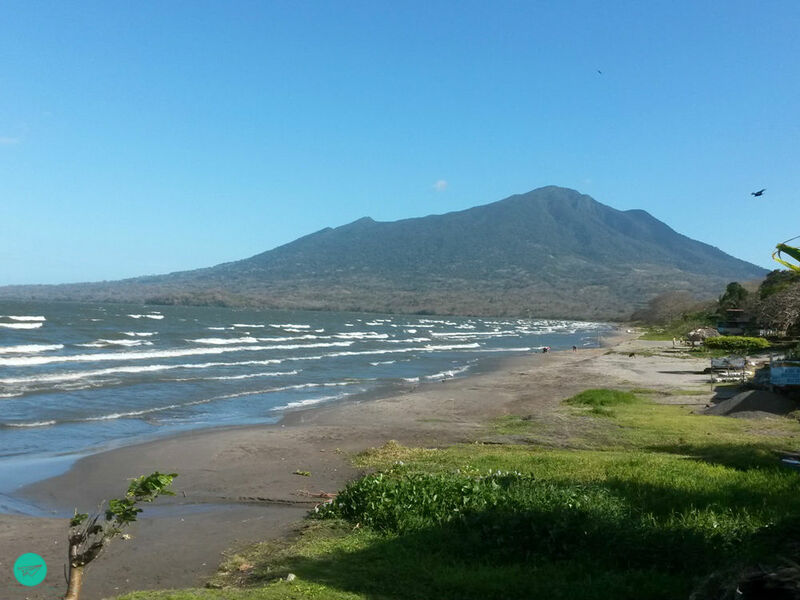 Whereby Concepción ranks among the most active ones in Nicaragua and Maderas has been „sleeping since ages“. 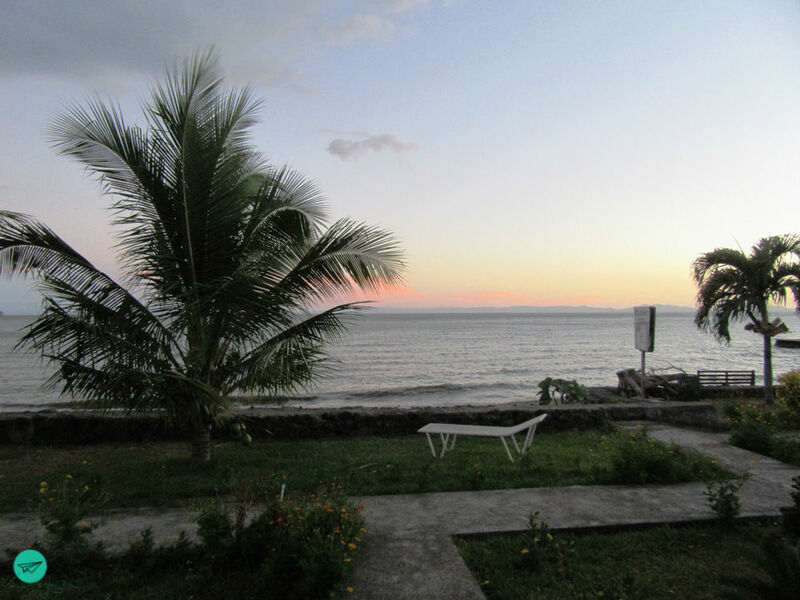 Another specialty about the island is, that you will find black sand beaches (volcanic) as well as „normal“ sandy beaches with a kind of a Caribbean flair on the isthmus between them. You can reach the island either by plane or by boat! Like before mentioned you can come by PLANE. This is quite a new option as the airport was only installed in 2014. Planes are getting in and out only on Thursday and Sunday. You can fly in form Mangua, San Juan de Nicaragua or San Carlos. 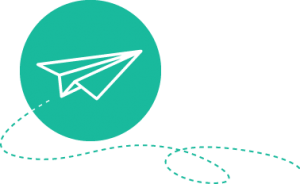 A ticket will cost you $50 and the only operating airline is La Costeña. I imagine that it is a nice view to land. 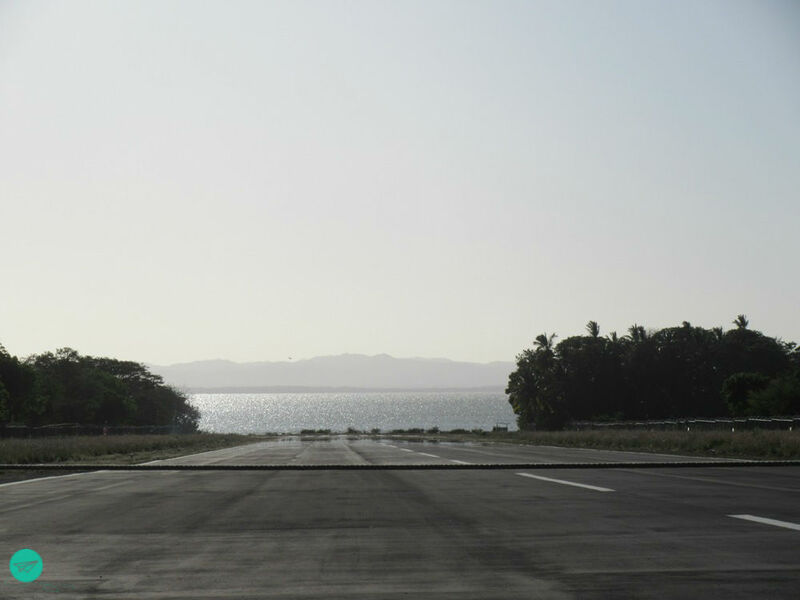 Once there is no air traffic you’ll cross the runway while exploring Ometepe. Besides swimming the other option is to take the FERRY (they don’t have a website, but I found this helpful one). 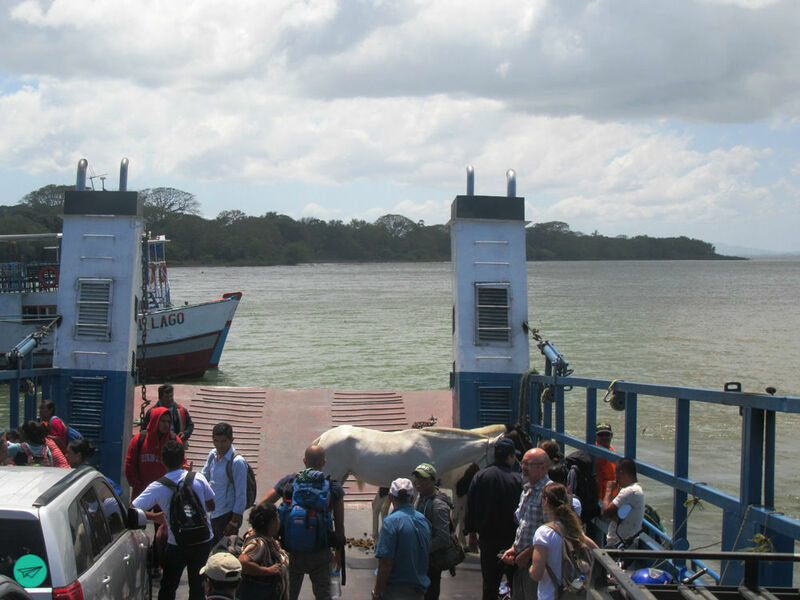 We took the ferry from Playa San Jorge (Rivas) to Moyogalpa. Which goes a few time a day. There are smaller boats (lanchas) available, but especially with kids I would avoid them. The crossing itself is like a little adventure, First of all the ferry doesn’t look pretty safe, but it is. Second the lake often is pretty choppy. One of the first things I got to hear was – take the ferry unless you have a strong stomach :-). Glad we did! Maybe provide yourself with some seasickness pills. Try to sit at the window and fix a point onshore, it helps says my hubby. Me and the kids were fine, some other passengers not. Third not only people and cars are on board, real horsepower needs a lift, too from time to time. On our way back the lake was pretty calm. Just go and enjoy the island. Arriving at Isla Ometepe we had a shuttle (there are a lot offers at the ferry) to bring us to the hotel. We chose a hotel on the west side of the island as it is meant to be less windy. Getting our room took us a while. Nobody was at the reception hall when we were dropped off by the driver, so we had to wait. A few minutes later somebody appeared out of thin air. Not yet able to find our reservation. However, he managed to give us the keys and we could move in. And we were surprised, in a positive way. The room was first row, super spacious and had an amazing view at the back, too! A perfect view at Concepción and lake view from the little bench in front. The little issue at the arrival was already forgotten by than. The day we arrived was my birthday so we went to the hotel restaurant for lunch and dinner. Had a little walk and just enjoyed life. We soon decided not to go for a volcano hike! With kids it would have been much to hot and our physical conditions weren’t strong enough for an 8-9h trip neither. 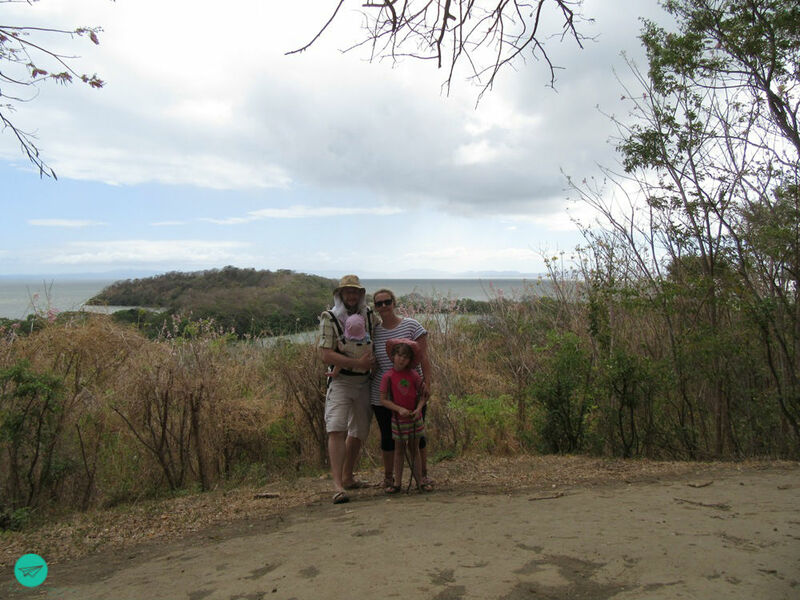 Instead we planed a beach day, a day to explore charco verde & to rent a car for one to explore the island. Said and straight went to bed. 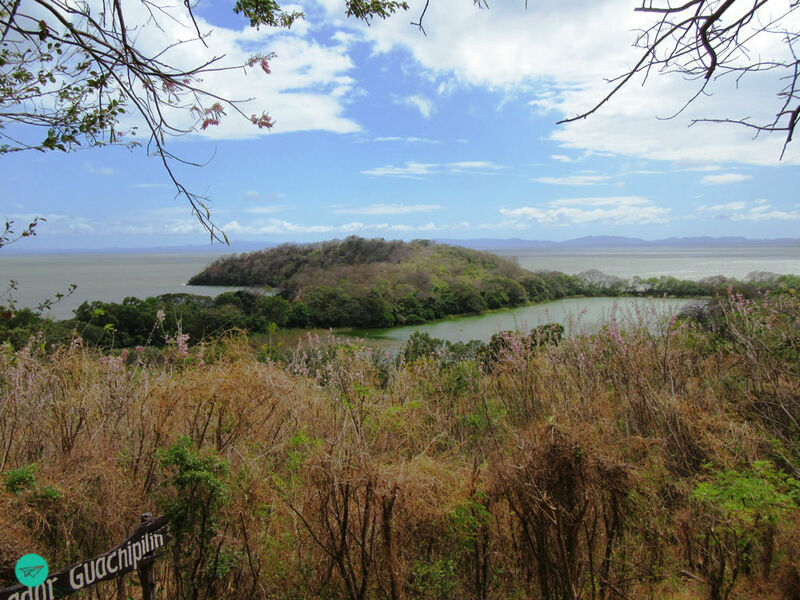 Charco verde is a nature reserve which is known for it’s diversity of flora and fauna. Many myths and legends have grown up around the charco verde. Proofed is, that the Indians came here to make scarifies and supplications to their gods. Reality is, that there are e few hiking trails to enjoy the flora and fauna. 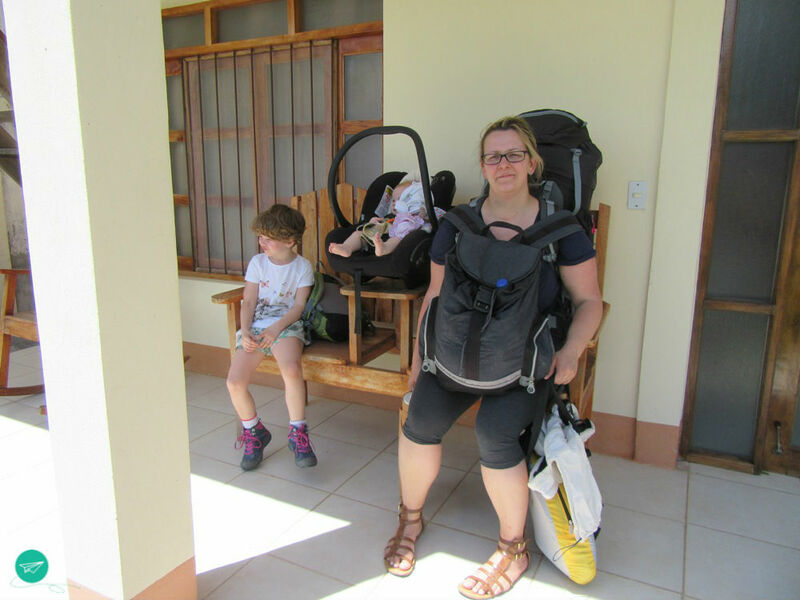 All trails are easy to hike with toddlers or a baby in the carrier. We chose the trail which brought us up to the Mirador Guachipilín“ ( lookout) and which would let us pass by the beach on the way back. 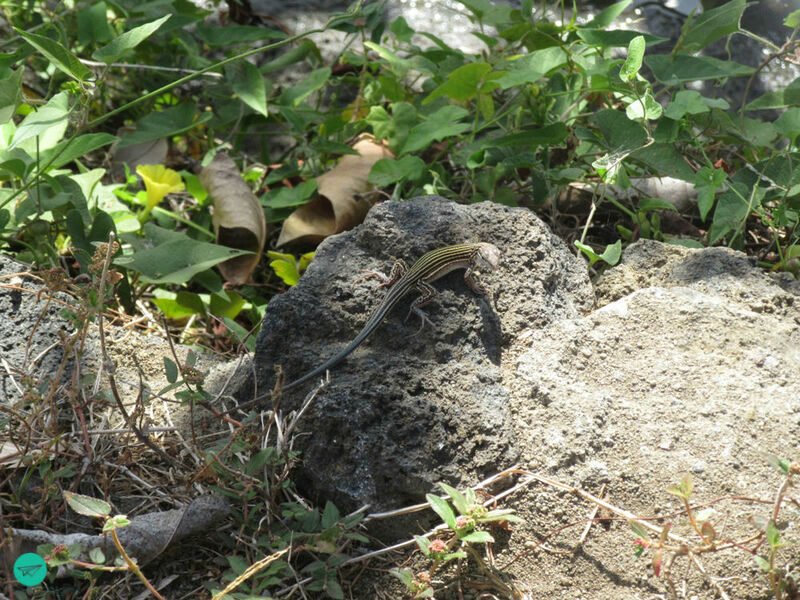 On our way we marveled at relaxing monkeys up in the trees, small, fast geckos crossing the path, gliding birds in the air and colourful butterflies around us. Reaching the top (the mirador) a great view revealed to us. Breathtaking views over the lake, the little lagoon and at the volcano. Even though some clouds where moving forwards, backwards and in front of the lens. Climbing down and following the trail trying to hide from the sun, we reached the beach (Playa Bancón). A pristine, dark sand one. At this point the lake has one of it’s most quiet waters, so kids can easily splash around. Only few people come her, so you might be even lucky to have the entire beach for yourself. 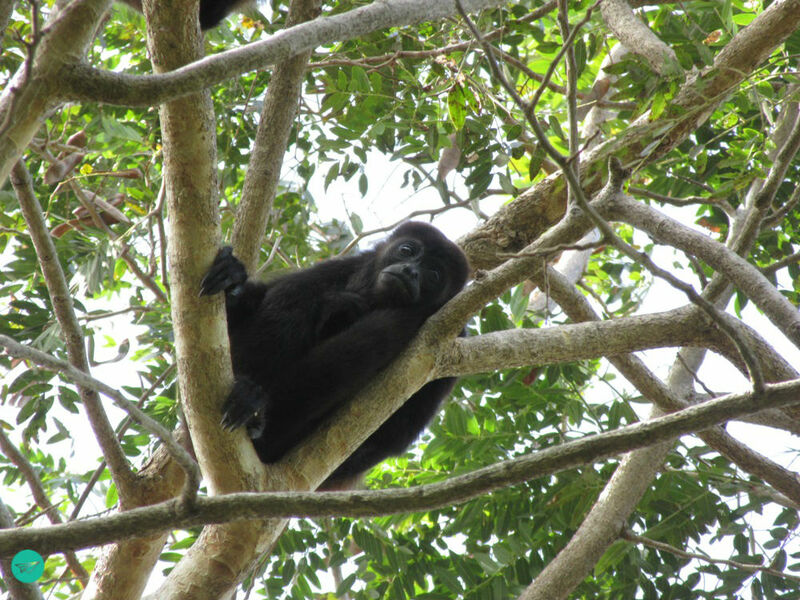 We spend some time here, hanging around, let little J napping in the shade, big J „diving“ and us enjoying the view at Volcan Maderas and Isla de Quiste. Returning form this wonderful hike and bathing we stop we took the chance to enter the butterfly reserve. It is part of the whole reserve and they have such beautiful flying friends in there. You will have excess to the bird section, too. 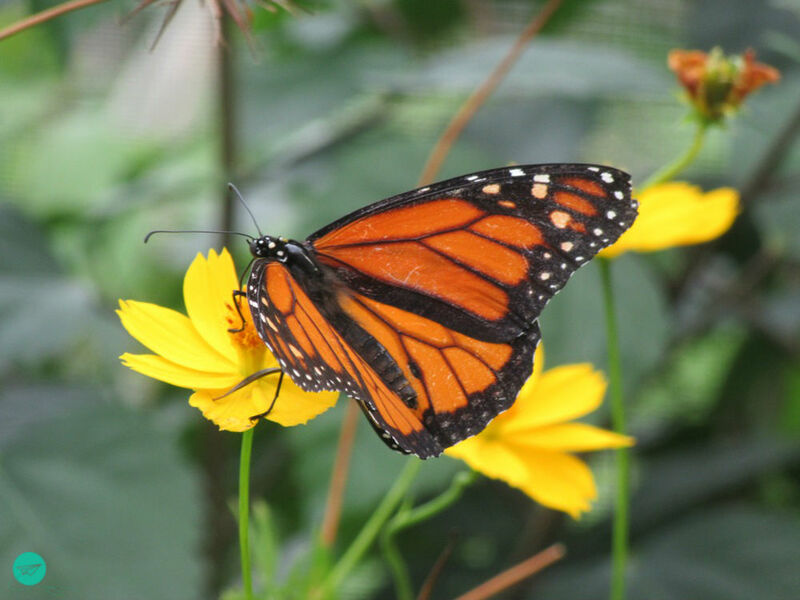 At the entrance the staff will show and explain the different stages of development of a butterfly to the kids. The general entrance fee for charco verde is $2 each. Definitely worth it! Back. we had dinner at the same-named hotel Charco Verde, btw one of the best meals we had in Nicaragua with a stunning view over the lake! Who is not hungry could also go to the beach take sunbath, rent a pedalo or kayak or let the kids play at the playground. Whatever your choice is, a perfect holiday day is guaranteed! 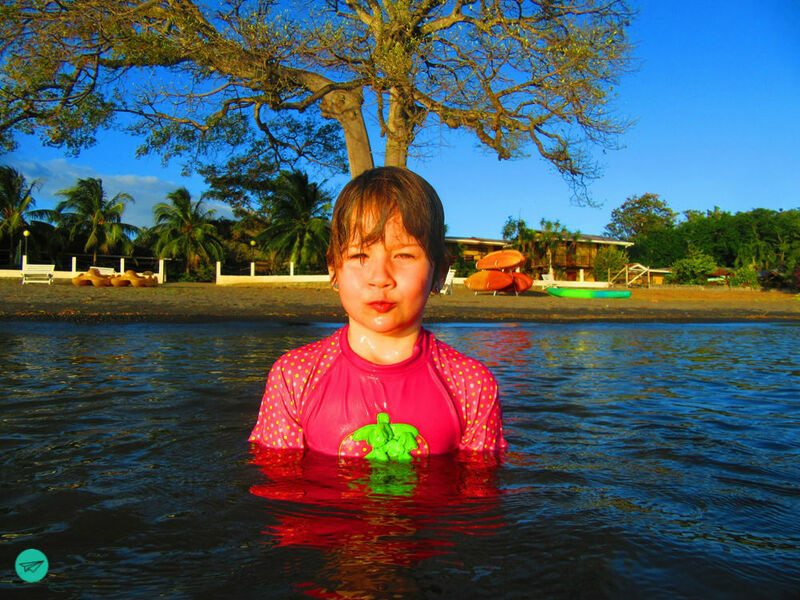 Not yet sure if you should take your kids to Isla Ometepe? Wait for the next post about our 1-DAY-ROUNDTRIP to come next week!